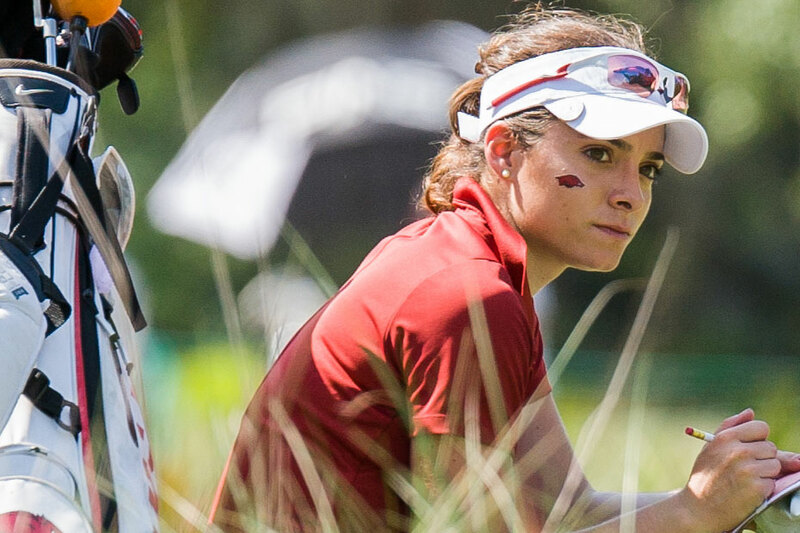 VENICE, Fla. — University of Arkansas senior Gabriela Lopez continues to climb up the leaderboard after three rounds of LPGA Qualifying School play in Florida Saturday. Lopez has one round remaining and must remain in the top 40 to advance to the final stage of qualifying school. She started play 113th after round one but vaulted up the leaderboard in round two to a tie for 23rd. Lopez posted a solid 73 today to go with her 77-71 and is in the clubhouse with a 221 and is tied for 15th overall with the final round remaining. Former Razorback Emily Tubert posted a 76 and is through three rounds with a 228 (75-77-76). She is tied for 83rd overall. The third-ranked Razorback women’s golf team was scheduled for a practice round today at Briggs Ranch Golf Club in San Antonio, Texas, but heavy rains from Hurricane Patricia forced the cancellation of today’s play. Teams were scheduled for morning tee times but the start has been delayed until 1 p.m. weather permitting.